It is early morning. I am sitting on my deck, looking east out over the town of Loveland where I live. Not a cloud in the sky, which is a lovely, calming shade of blue. You know this shade of blue, hard to describe, simply like no other. Peaceful is what I feel, as I sit here enjoying my first cup of coffee. There is a cool breeze. Yes, cool. I can’t believe it myself since yesterdays temperatures reached the high nineties. Where did it come from, I need not ask, I am just delighted it came to pay a visit. Once in a small shady spot, how my space is mixed with beams of sunlight as the sun rises higher in the sky. 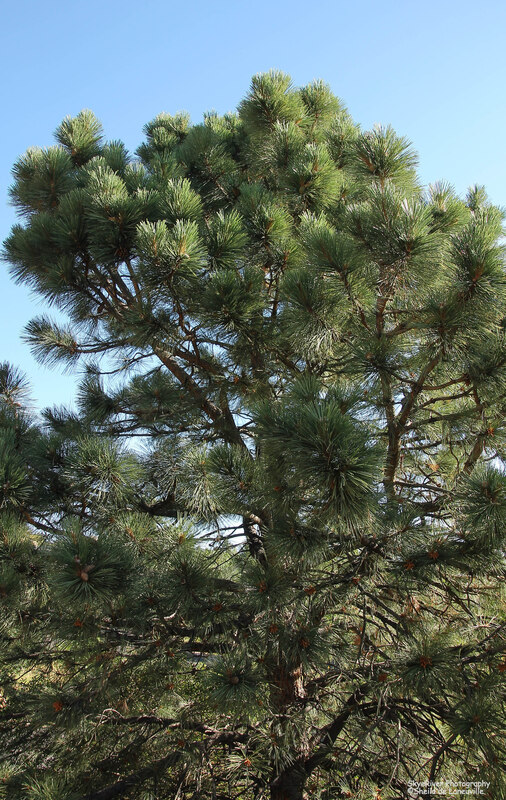 It is now topping the highest branch on my beautiful Ponderosa Pine. As the breeze continues to blow, lovingly caressing her branches, I see shadows dancing across my lap. I hear the faint, mournful calls of the Ringed Turtle- Doves as they fly in and around my yard, whispering to each other and perhaps to me. Their call reassuring my peaceful feeling. I know the day will get warmer, maybe even hot, but right now, in this moment, I treasure these peaceful moments of my morning. The girls are laying at my feet. It seems they also are enjoying this cool, calming morning. I think I see doggie smiles on their faces. Are they experiencing my pleasure? More likely their own happy doggie thoughts. Is it now time for a walk….. Previous PostA fun day spent with friends in Rocky Mountain National Park…..Next PostA New, Shiny, Green Wheel Barrel…..
Sheila, your morning sounds like it was wonderful! I woke this morning to temps in the upper 70’s and I can detect the smell of smoke in the air. I hope that does not mean there is a wildfire burning close to Salt Lake City. Hi Mia, yes it was pretty wonderful! I now know why it was so cool. Late in the evening we had a severe thunder storm, dropping one and a half inches of rain with lots of hail also. Here in CO, we average about 12 inches of rain a year, so this was a lot of rain! Most welcome however. I sure hope you don’t have any fires. Last summer we had a huge fire close to us. We could not enjoy being outside, because of the smoke. Mia, thanks for stopping by my blog. I so enjoy your photos! !